Brand New 19 foot tall Double Lane Wipeout Water Slide with a Splash Pool Landing. 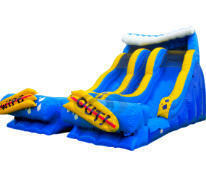 The Wipeout Water Slide is one of the most popular water slide rentals during the spring & summer and our slide features 2 sliding lanes that drop down into a giant splash pool for double the excitement. Great for children over 3 years old. 36ft Long x 16ft x Wide x 19ft Tall. Suitable for Adult use. Tall Dual Lane Water Slide! 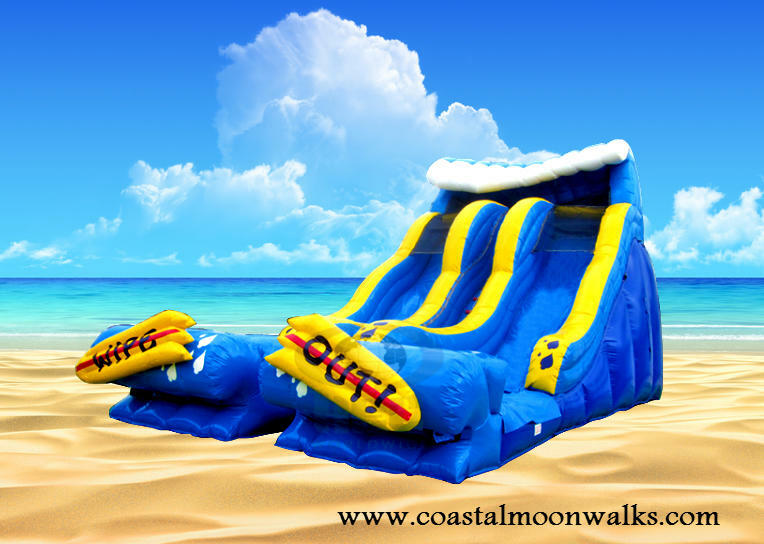 Reserve The Wipeout Water Slide Today!